I’ve been playing the soft launched War Wings on and off for the past few months, and I think it’s a very cool multiplayer dogfighting game. And on August 17th, you’ll all be able to check it out as the game finally releases globally. War Wings feels very similar to Wargaming’s World of Warplane, the least successful game in the World of Tanks and World of Warships family. The game offers 4×4 online battles using mostly WWII planes, and if you’ve played World of Tanks, you’ll know how the gameplay loop works. You start with pretty basic airplanes, get XP and money after each battle, upgrade your plane enough so you can buy a better plane, and so on. 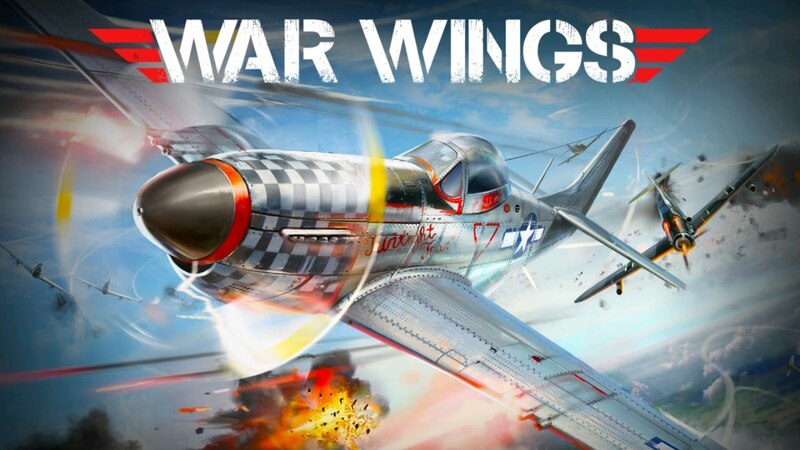 War Wings should fill a nice gap on the App Store because I don’t see Wargaming bringing World of Warplanes to the App Store any time soon (or ever) since it didn’t really do that well. I’ve spent many hours of my life playing games with warplanes, so I’m glad to have War Wings to play, and I think many of you will enjoy it as well. It is a F2P game, of course, so grinding should be expected. If you are an Android player, you can pre-register for the game and receive in-game rewards in return.